About 15 years ago, I went to long term rehab as an alternative to jail. Although rehab doesn't work for many people, it did for me. I managed to stay off gear for about 12 years, although I drank a lot, mostly because of the sort of work I was doing at the time as a specialist in the building trade. Even when I had raging heroin habits, I always worked. I have a lot of skills and have mastered three different trades. The only reason things changed was that 5 years ago, I was in a house fire and received extensive burns over my body. That has taken a long time to heal and left me unable to work at my trades. Once my skin healed, I tried to go back to work, but pain and issues like an inability to sweat or tolerate heat made it impossible. I was also left coping with an opiate dependency from pain management, not to mention a serious case of self-pity. After the fire, I really hated the world. I don't like my dark side and I was indulging in a few fantasies I wanted to knock on the head. I was in the doldrums and not only taking prescribed opiates but flirting with illicit drugs when I went to the NUAA NSP to grab some equipment one day. I started talking to the people working there and I realised I was among like-minded individuals. 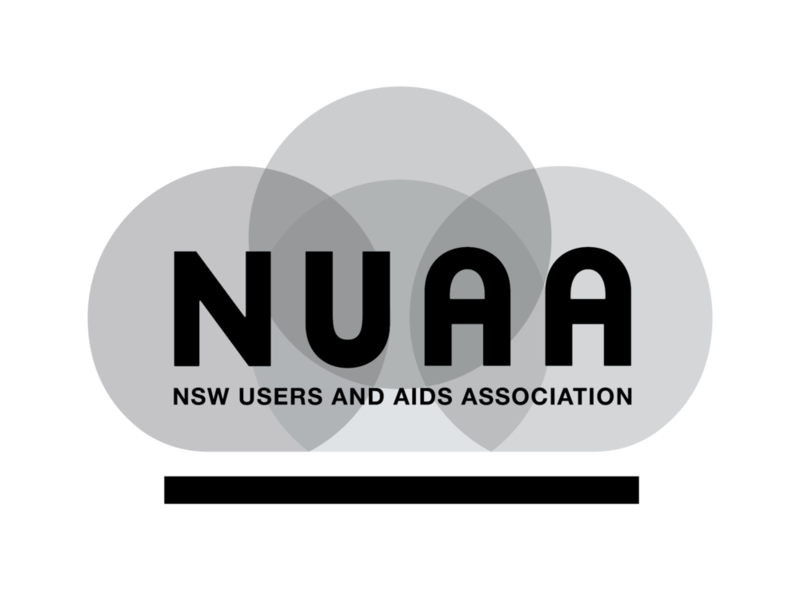 I found out that some were volunteers and I realised that volunteering at NUAA was my best opportunity to get off my arse, stop feeling sorry for myself and do something positive for myself and others. I felt I had skills I could share. I knew I was good with people and I had the knowledge to point them in the right direction for different services. Not only had I used various organisations, I had counselled people in rehab and was told I was good at it. Volunteering at NUAA allowed me to do something with what felt like the last thing left that I'm good at. I also volunteered because I needed to get out of my head and reach out to people. I wanted to establish some relationships and make some friends. It's the little things that make it worthwhile for me. Like before shifts in summer, I'd buy a box of cheap ice blocks and give them out to people that came in to the NSP. It would make people happy and helped me connect with them. Working at NUAA has helped me in a lot of ways. Not only has it brought great people into my life, it has given me personal access to information that has helped me be safer and healthier. I've learned a lot. Volunteering has also led to a little bit of paid work from time to time, and that has worked wonders in helping me keep my head up.